A Gadwall drake (male) performs his breeding display to attract the attention of a hen (female). Like many duck species, Gadwalls form pair bonds on their wintering grounds, which range as far south as Guatemala. 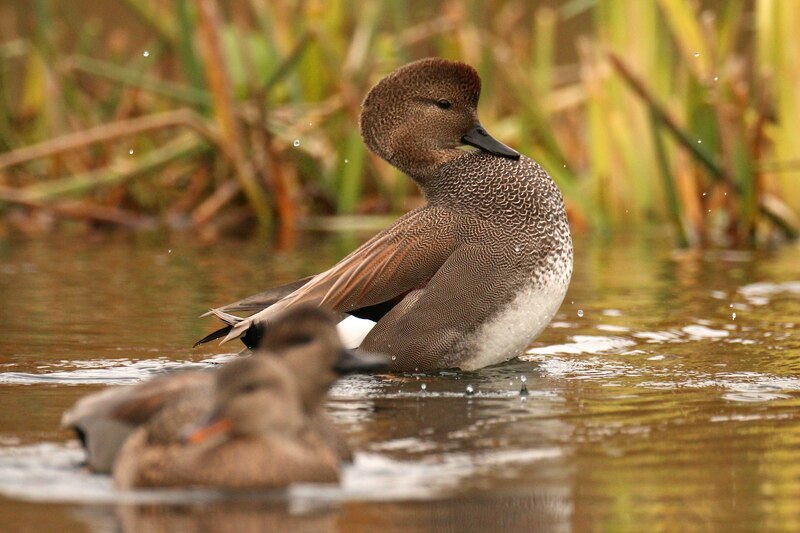 Gadwalls are more monogamous than most ducks, with more than 80% of females paired by November, a full five months before the breeding season. Gadwalls nest in ponds and marshes, as well as human-altered habitats such as sewage treatment plants. You'll find them predominantly in western inland North America, but their range is expanding to the Northeast.